Looking for something good to read during this long, cold Winter? Here's a short list of some good books that I've read, or am in the middle of reading. One of the pros of cold weather is how much time I suddenly have for reading. Many people ask me how I even have time to read, and to be honest, I just make time. I read constantly, and I always take what I'm currently reading with me in case I find a few seconds to read my book while waiting in the car, visiting at my parent's, sitting in line somewhere, etc, (you get the idea). I always have my to-read stack on the table next to the couch, and I make sure that other then devotional stuff, I only have the books that I'm currently reading. That way it keeps them right where I can see them and the pile doesn't turn into a monster of random books thrown there. In The Last Girl we follow a young Iraq woman named Nadia Murad as she retells her story of being captured in August of 2014 by ISIS and being abused. This is a real look into issues that as someone living in the USA we know little or nothing about. Living with her family in a quiet village Nadia's life is thrown into turmoil when terrorists arrive, hold siege, and eventually overtake her village. Nadia, along with other relatives is taken captive, and brutally attacked and abused. She tells her story of her brave escape, kind people that take her in and help her get to freedom, and becoming a refugee. It is a story of survival, terror, and yet in the midst of it all, holding onto hope. Now rescued she uses her experiences to speak out and bring awareness to the crimes and genocide committed by the Islamic State. This is a sad story, but not without purpose, and hope for a better future. What happens when a cop gone bad puts you wrongly behind bars? Convicted follows the story of two men, Jameel McGee, and Andrew Collins. It's the story of how one person's life does affect others, and the power that Jesus has to change terrible things into something good. This is a captivating read, and honestly tells the story from the sides of both men, about not only their lives, but the life changing love and forgiveness found though Jesus Christ. An honest and slightly humorous look into what really happens after marriage. 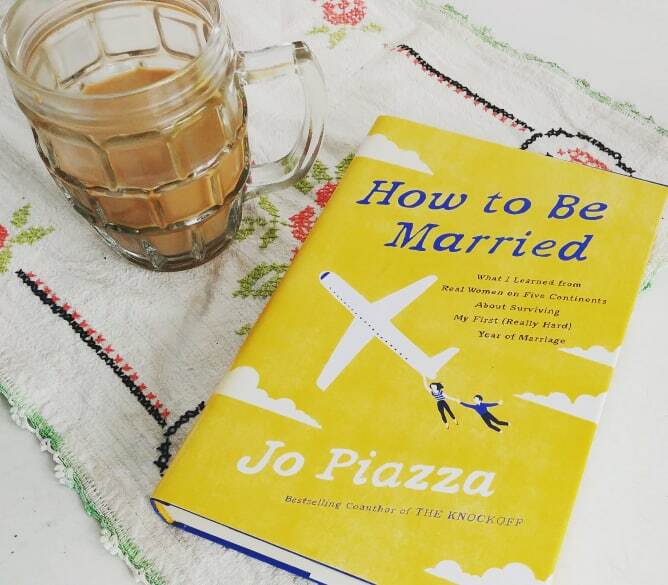 Although many think the hard part is being single and waiting for "the right one", Jo talk about how the hard part starts after marriage. A fun, easy-to-read, and honest look into the trials, troubles, and wonderful moments of living with another person. This is not just a how-to, it's also an encouraging, personal story. Is anyone else SUPER EXCITED about the upcoming movie being made?! Good. So I'm not alone. I've been re-reading this childhood favorite. And honestly, what is there not to love? It follows the adventures of Meg, her friend Calvin, and her little brother, Charles Wallace, as they battle through time and space to find her missing father. I grabbed this book because I love the cover, and, if I'm being honest here, half the time I pick a book out is because of the cover. I've spent the last few days reading it and I'm pleased to say that it is excellent! It's the story of a fox-like foundling looking for a home, and searching for his destiny. A magical, fantastical read.